Aquarius is the sign of the Zodiac that I'm most closely attached. My Sun (February 1), Mercury, Venus and Jupiter are all in Aquarius. Because of these strong placements, I've always felt like a true Aquarian. 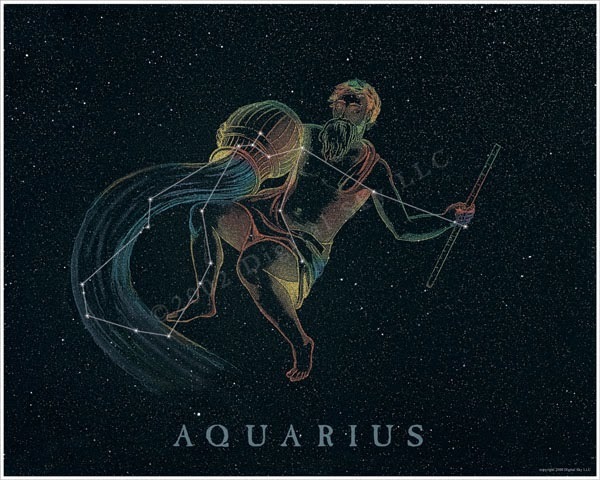 A common misconception with Aquarius, because it is the sign of the Water Bearer, is that it's a Water sign; in actuality, Aquarius is an Air sign (along with Gemini and Libra). *Very much an Aquarius type of song!